Why I didn’t do this to start with, I’ll never know. But, to make the new and improved gloves, I traced the pair of gloves to be worn by the live action character and worked out the pattern for the thumb. I reduced that using my scanner copy machine to 18.75% of the original. To get there with my scanner I had to reduce it to 25% (as small as it would go) and then reduce that to 75%. I then cut all of the pieces out of very fine leather. 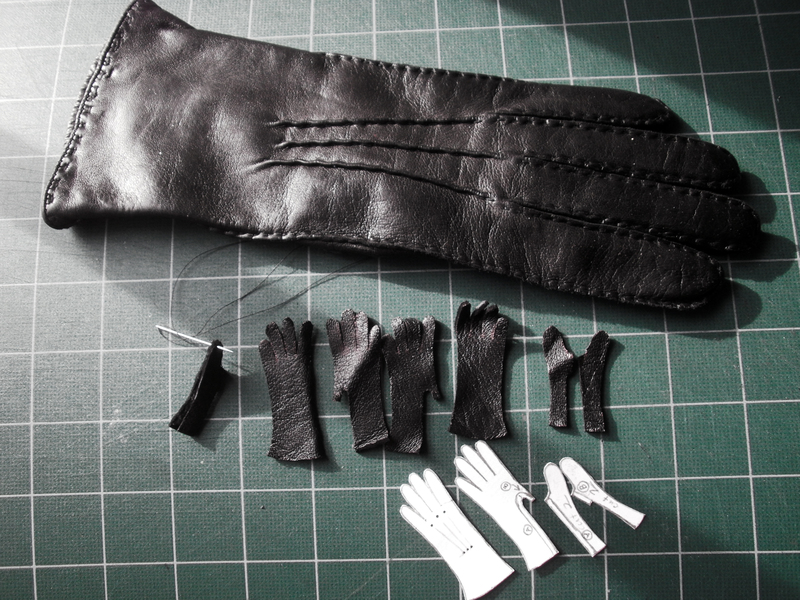 The pattern and pieces of the miniature gloves next to the full sized glove on my cutting mat to show scale. I spent about ten hours sewing the little pieces together using a tiny blanket stitch for everything but the thumb joining and made up a special twisted thread embroidery stitch to make mock pleats on the back because real pleats were too thick. 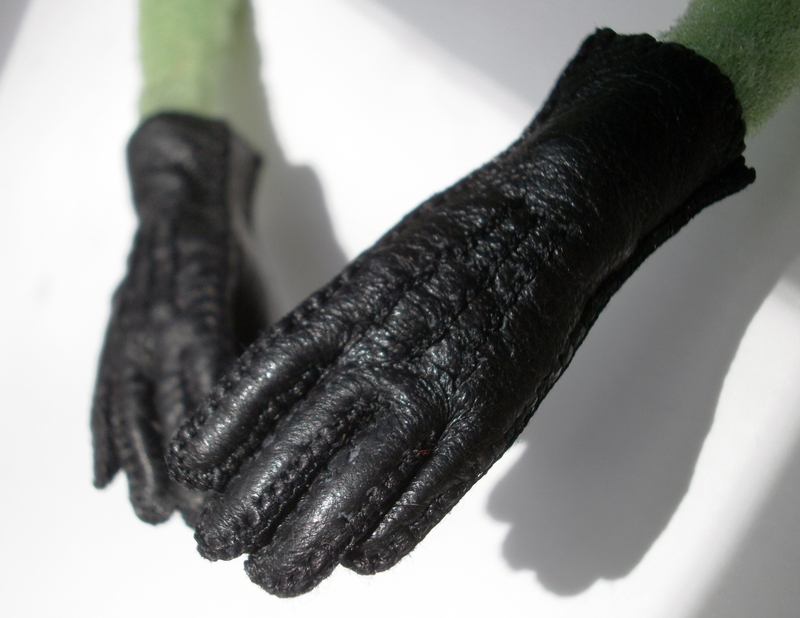 Here are the finished gloves on the puppet. 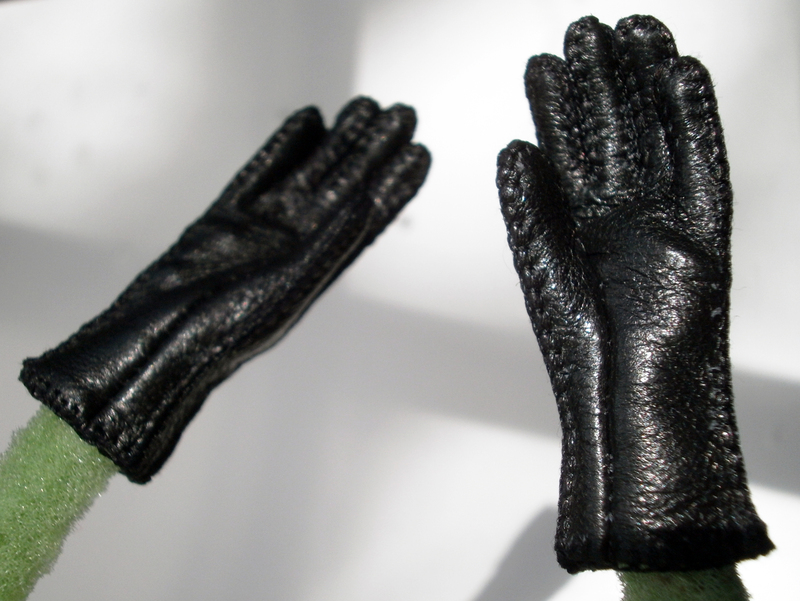 And here is the palm side of the gloves.